Mystery bags are so much fun, especially from our blogger friend. 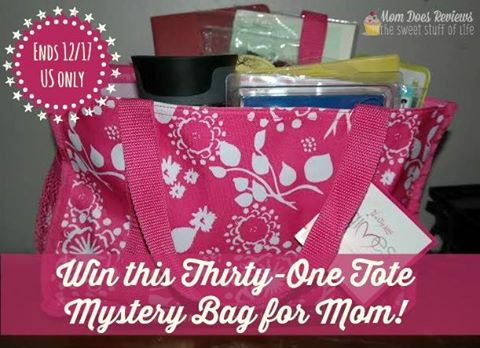 This mystery bag includes the Thirty-One tote, and so much more! 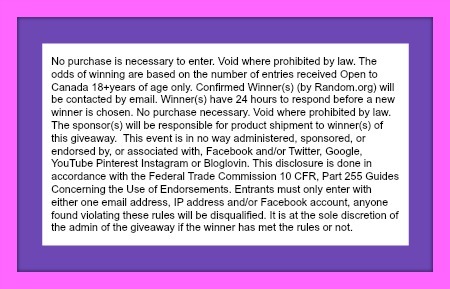 Mom Does Reviews is sponsoring this fun MYSTERY BAG giveaway! Her blogger friends are excited to share it with YOU! Not only do you get this cute Thirty-One Tote, but a bunch of fun items that any mom/sister/aunt/grandma would love!! There is even an amazing Insulated Travel Coffee Mug in there! Here is a Sneak Peek of some of the items! What do YOU want to see inside this tote? I think there may be a gift card, assorted samples, notepads, pens, a cup, small kitchen items, etc. I think it’s some sweet treats for the holiday season. Bet there are lots of fun items like a journal, pretty stationary, a pocket calendar, maybe some fun stickers and maybe a few cute toys thrown it, but whatever it is, will be awesome and thanks! i think ist’s a collection of things that were never picked up by previous winners. maybe candles, makeup, household goodies. Is it a pony? I bet there’s a pony in there! It’s a pony, isn’t it? Makeup, a gift card, and hair products! Candles, lotions, gift cards. I’m sure all stuff that I love! lol! Stuff you would find in a stocking. I think maybe there will be books, maybe a journal, or stationary type of stuff. I love surprises, this is so exciting! Merry Christmas to all!